Are you looking for a gorgeous space to run a workshop? Are you after a consulting room to run your practice? Do you teach an ongoing class like Yoga or Meditation? Our beautiful Wellness Centre comprises 2 consulting rooms and a Classroom which can accommodate up to 25 people. Our rates for the CLASSROOM are $132 for a full day, $88 for a half day or evening (9am to 1pm or 1:30pm to 5:30pm or 6pm to 10pm ) or the casual hourly rate is $30 per hour including GST. The Classroom is suitable for Seminars, Workshops, small Yoga Classes, Meditation etc. It includes the use of the kitchenette and toilet, filtered water, tea and coffee are provided. Room 1. This room is located upstairs facing north. It’s a gorgeous room with lots of natural light. Perfect for small groups or one on one counselling/coaching. Room 2. This is also located upstairs. It also has lovely natural light and plenty of seating for small groups, couples or family therapy as well as one on one counselling. This room includes a massage table for energy work or massage. 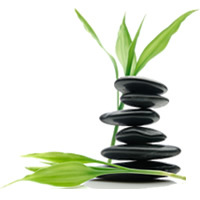 Please contact us on 9842 7033 or info@simplynaturaltherapies.com.au for room availability and terms and conditions.